I regularly read a series of blog posts published by the Guardian written by an experimental cook called Felicity Cloake. She writes under the subject ‘How to cook the perfect xxxxx’, where xxxxx is normally a classic/historical/commonly-ruined foodstuff – recent examples include blueberry muffins (challenge: how to get them massive but still light and fluffy) and aubergine parmigiana (challenge: how to create a really delicious, stodgy dish that tastes authentic, cheesy and not too oily). 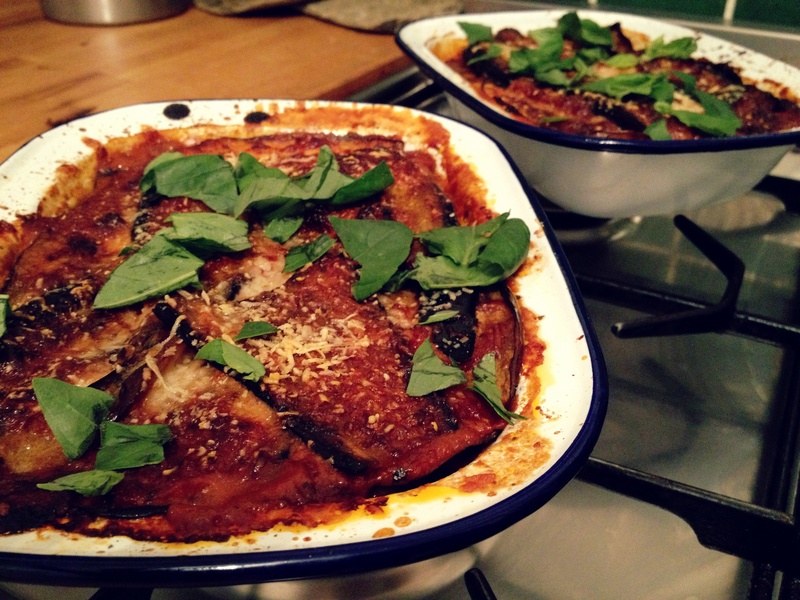 I have previously made Felicity’s perfect carbonara (verdict: definitely amazing, made ever so quickly with eggs and – importantly – NO CREAM in sight) and was really keen to try her aubergine parmigiana, a dish I love but have never actually made. 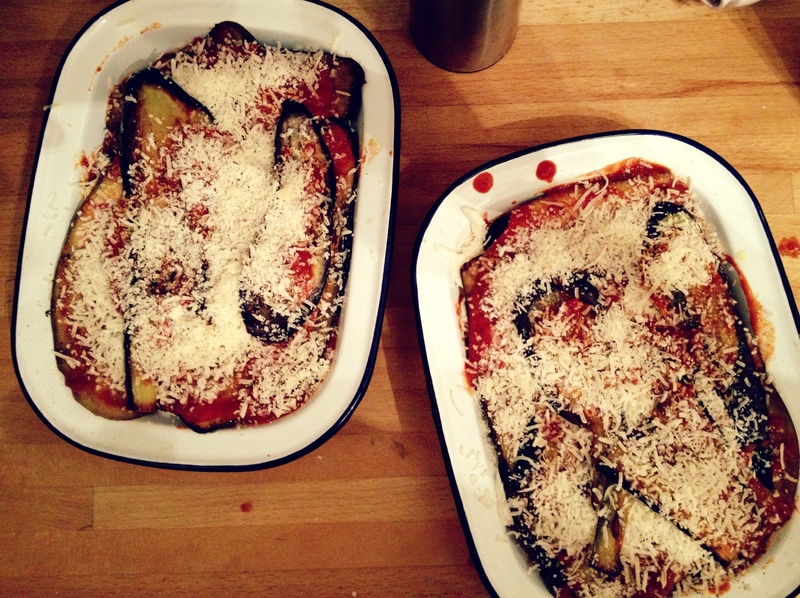 Having followed her recipe to the word, I decided that there are actually slightly too many aubergine slices and not quite enough mozzarella slices to make a perfectly layered dish, so have tweaked the recipe ever so slightly here to fix this. Otherwise, it was spectacular. 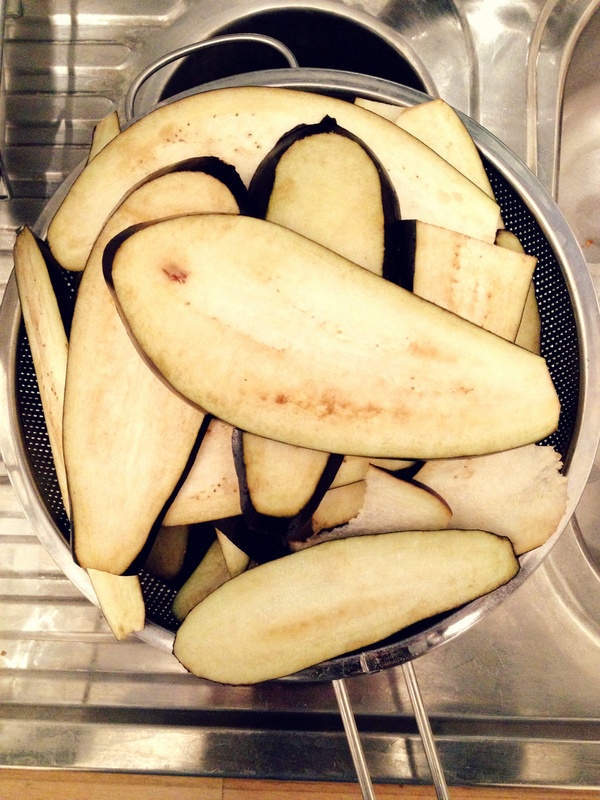 Using only a few simple ingredients means you can really taste the aubergine, which is really welcome. 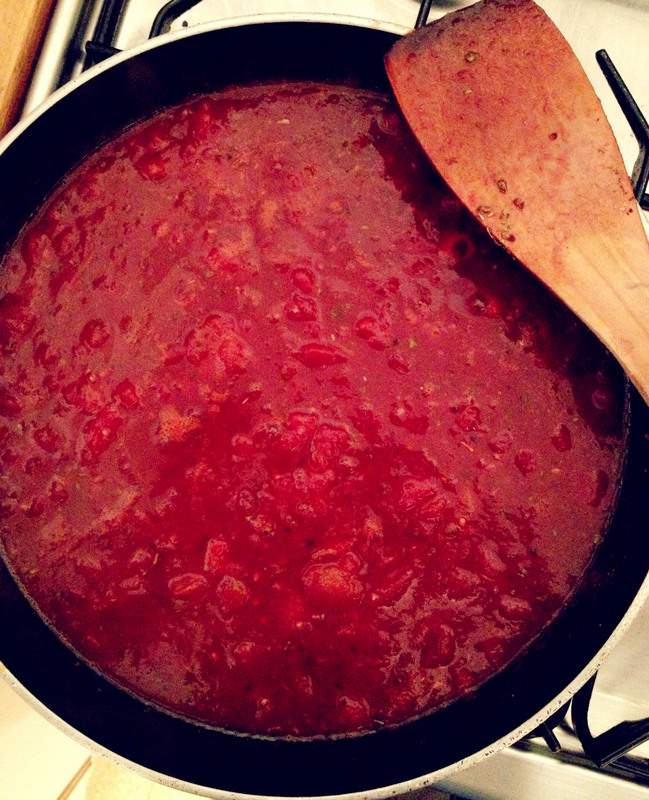 I agree with Felicity that the red wine in the tomato sauce adds a lovely rich depth, so don’t skimp on it! Love! This is my favourite dish. It is one of mine, now!